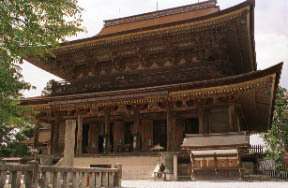 For Hondo "Zao-do" (national treasure) of a golden Mineyama temple, the huge building of the head temple of mountaineering asceticism and the Muromachi period is a symbol of a yoshino in cherry blossoms. 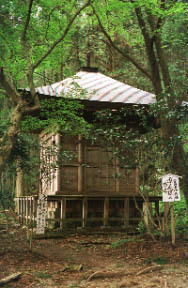 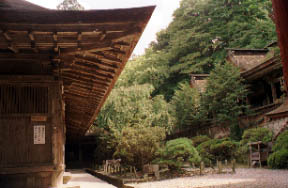 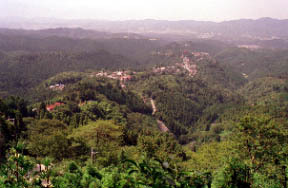 The place which is said for "Yoshitsune or Yoshitsune who gave and parted from a tower" Shizu to have hidden himself: Kinbu-shrine back. 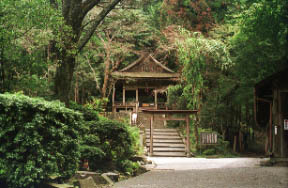 The statue of Tamayori Hime which deifies a "Yoshino Mikumari Shrine" Momoyama Era leading shrine building and seven images of a deity is a national treasure.